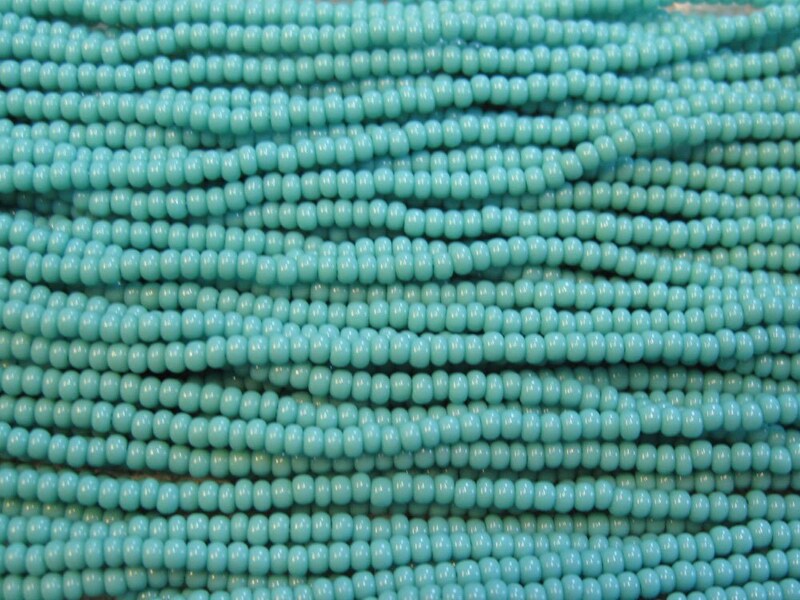 Green turquoise opaque Czech glass seed beads in mini hanks, size 11/0, pre-strung; bead size: 1.8mm. Hank consists of six 20-inch loops, tied together! Great price! 19 grams. Just what I was looking for and quick turnaround. Thanks. Very pretty beads - will enjoy working with these. Shipped quickly - thanks!